Black Friday is just one of the best sale days we are lucky enough to have these next few days. I am not one for shopping Black Friday deals but Cyber Monday I am all about. I have a few ways I like to prepare for my shopping on Monday. It can be so easy to hop from site to site clothes shopping, toy shopping, etc. Before you know you have racked up quite the bill. Make sure you know before your start spending how much you really want to spend. And there lots of them so you want to be prepared for the ones that you are going to use to shop. Whether it's 15% off or Free Shipping, make sure you're in the know! CyberMonday.com is the obvious place to get all the deals. They have an extensive list of deals AND coupons that are available through Monday. I recommend both of these sites for a few reasons. First, Ebates gives you a free $10 giftcard just for signing up. That can help your budget before you even start shopping this weekend. Swagbucks tends to have a better return on investment with regards to rewards. I prefer to use them over Ebates most of the time. The only downside is that there are many stores that aren't on Swagbucks. That's when I utilize Ebates and I am still able to keep earning. We all know how Mondays can get.Let's face it. We will all be in work Monday recovering from our turkey filled weekend, browsing all the deals. Make sure you adjust your work schedule and know just exactly when you can spare a few moments to do your shopping. Most deals start around 9 a.m. so you need to be prepared! 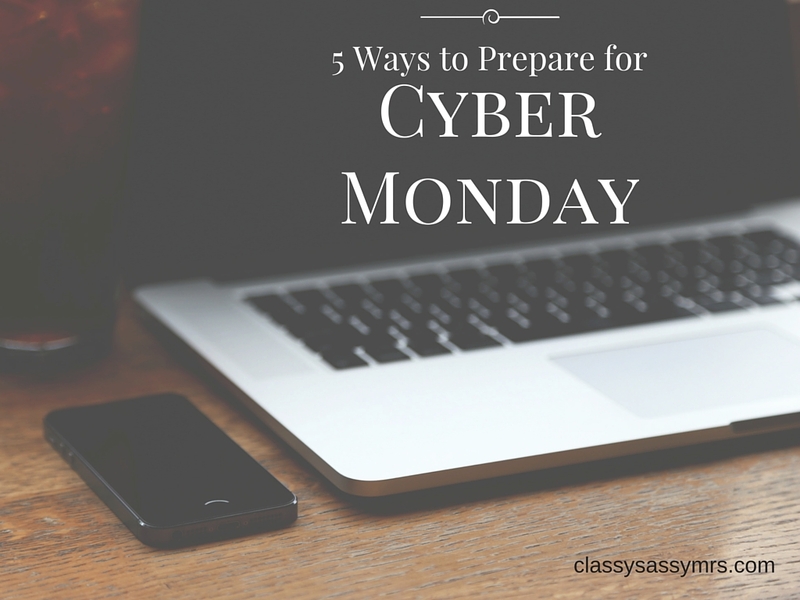 What are your Cyber Monday tips?